Coupon Description: MoreBeer has a fantastic deal going on where you can save $5 on every MoreBeer home brewing kit. This includes all of their most popular kits like Pliny the Elder and Blind Pig by Russian River. So stock up and save big while supplies last! Every now and then a new homebrewing product comes out that catches my eye and I say, I can not believe nobody had thought of that. The Trub Trapper is one of those home brewing equipment idea. So what is the Trub Trapper and why is it so great? Well, lets start by talking a little about trub first. Trub is that thick sludge left at the bottom of your boil kettle after you have transferred your wort to the fermenter. 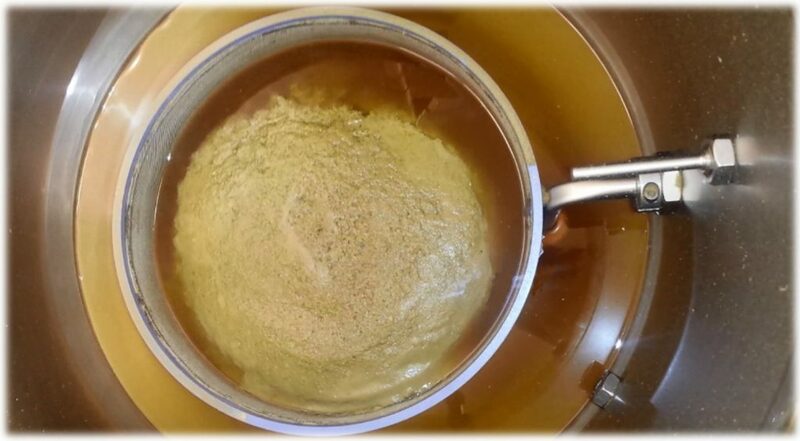 It is a combination of hops, compounds, proteins and solids left over after the boil. The problem is that it is very difficult to stop the trub from passing in to your fermenter. Trub formed during the boil can adversely affect fermentation and produce undesirable flavors and haze in your finished beer. It is something that you want to avoid if at all possible and I will explain further in a couple of paragraphs. You worked to remove these unwanted compounds and byproducts during the boil so you do not want to allow them in your homebrewing fermenter. How does the trub trapper work? Well, it is pretty simple really, you place the TrubTrapper in the bottom of your home brewing kettle so that your brew kettle dip tube is outside the tub trapper ring before you fill your boil kettle. You conduct your boil as you normally would and then whirlpool post boil. Let the wort settle for approximately 10 minutes and you are ready to go. It is that simple. 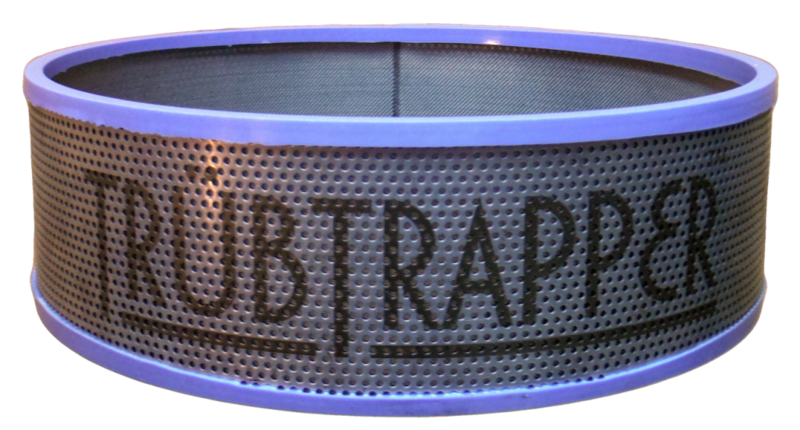 The high temperature soft silicone gasket and overall weight of the TrubTrapper will keep it in place during the boil and whirlpool so there is no need to re-position, or try and unclog anything. A small amount of the overall trub will settle outside the trub trapper filter ring during the whirlpool process, and a portion of that will flow in to the fermenter but the grand majority of the trub will be trapped inside the trub trapper which is where you want it. 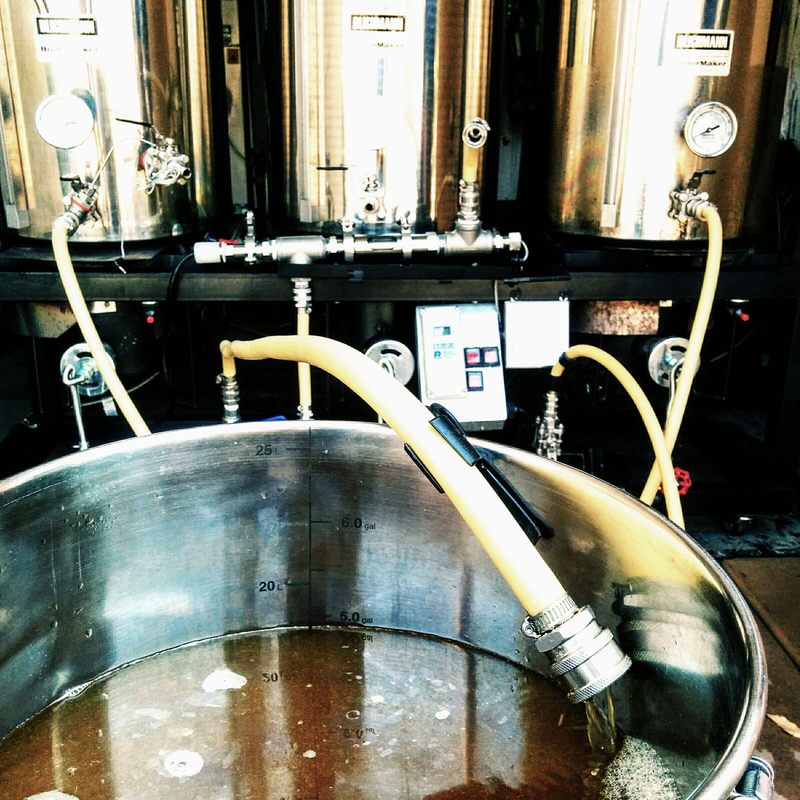 Why is trub transferring in to your fermenter such a bad thing? Well, excessive trub can coat yeast membranes impeding transport in and out of the cells which encourages metabolic by-products. Not to mention fine particulates in trub can lead to haze formation in your finished beer. Trub can also be responsible for head retention issues, impact aroma, flavor stability and off flavors such as sulfur, harsh bitterness and soapy notes. If you have been experiencing any of this in your home brew then the trub trapper may be exactly what you are looking for. So how much is the trub trapper and where can I get it? It runs for about $50 and you can find the TrubTrapper here! This is one of these deals that was worth a special post. If you are new to home brewing or currently using a 5 gallon kettle, this is a great upgrade for only $50. 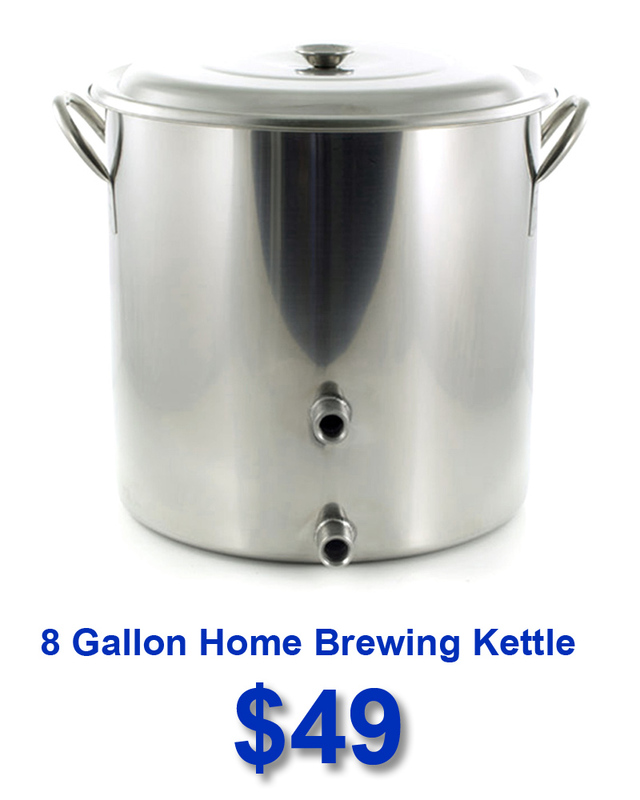 Adventures in Homebrewing currently has is offering an 8 gallon stainless steel home brewing pot for just $49.99. Best of all, this stainless steel home brewing kettle comes with 2, 1/2″ ports for things like a ball valve attachment or thermometer. This is an incredible budget kettle for 5 gallon home brew batches! 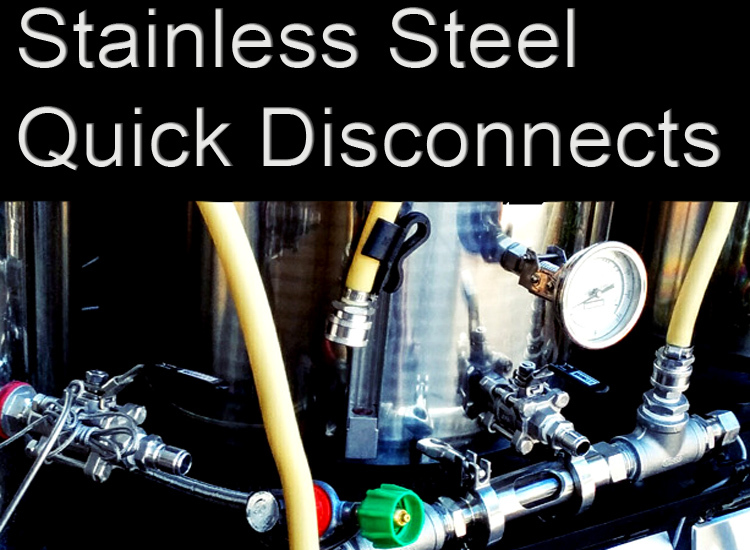 These home brew kettles are 18 Gauge stainless steel home brewing pots with two welded 1/2″ female full couplings and lid. I am not certain how long this deal is actually going for, so you may want to act soon if you are looking for a new home brewing kettle. Coupon Description: Homebrew Supply currently has a 4th of July Home Brewing Sale going on. When you purchase $150 or more in home beer brewing supplies you get $20 off your order! So save big on your homebrewing purchases this independence day!